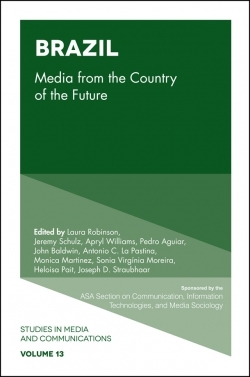 This volume assembles cutting edge research focusing on media and youth. 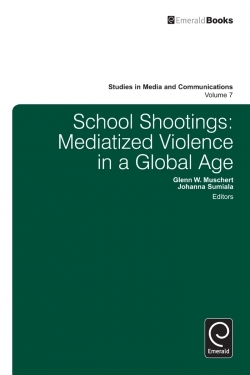 The volume looks broadly at what is understood by the definitions of 'youth' and 'media', when studied together and separately, and how these continue to develop. The volume features papers about institutions that shape this part of the lifecourse, such as the family, school, community organizations. 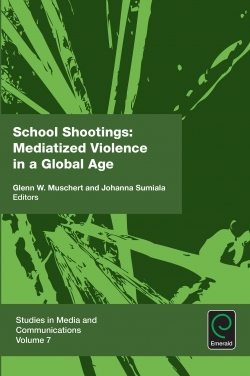 Papers address this theme from a theoretical and methodological framework. Stress 2.0: Social Media Overload Among Swiss Teenagers. Acknowledgements. Copyright page. 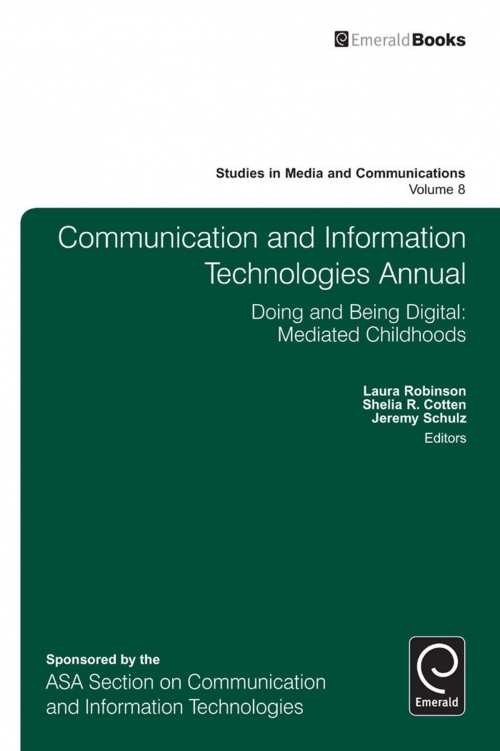 Introduction: Doing and Being Digital: Mediated Childhoods. List of Contributors. 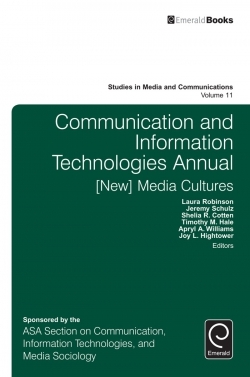 Studies in Media and Communications. 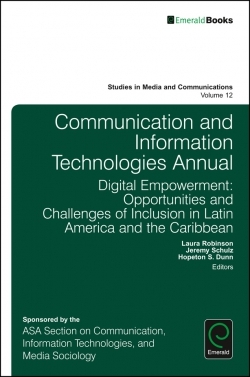 Communication and Information Technologies Annual. Tweens, Cyberbullying, and Moral Reasoning: Separating the Upstanders from the Bystanders. Gradations of Disappearing Digital Divides Among Racially Diverse Middle School Students. Play to Pay? : Adolescent Video Game Play & STEM Choice. Should I Text or Should I Call? : How College Students Navigate Mediated Connections with Family. Media Choice and Identity Work: A Case Study of Information Communication Technology Use in a Peer Community. Promoting Online Safety among Adolescents: Enhancing Coping Self-Efficacy and Protective Behaviors through Enactive Mastery. Hey Kids, This is Advertising: Metaphors and Promotional Appeals in Online Advertisements for Children. Cyberbullying: The Social Construction of a Moral Panic. EDITORIAL BOARD. 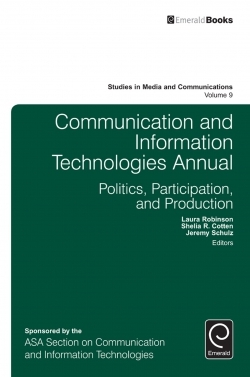 Communication and Information Technologies Annual. About the Authors. About the Editors.